Ever tried searching for medical papers using a standard search engine? Happy with results you get? Probably not. There are serious limitations to using keyword search in the pharmaceutical industry. Imagine you were looking for papers featuring the enzyme type ‘GSK’. Using a generic search engine, you would get articles that mentioned ‘glycogen synthase kinase’, as well as articles about the company ‘GlaxoSmithKline’ – which is not particularly relevant to your search here. However, a semantic search engine, powered by scientific vocabularies and a disambiguation system, will just focus on results featuring the protein, giving you context specificity. It’s a pretty long list of synonym derivatives, right? A good semantic search system on the other hand, does all this for you when it indexes, so that you don’t have to worry when searching. Having done this, you are then set up for better downstream data analysis because your conversion from unstructured to structured (typed) data is way more accurate. You can then connect your enriched, structured data to databases and other systems, giving enhanced data connectivity across the organisation and speeding up analysis. Great semantic search provides taxonomic relationships between its entities, so higher order searches are possible. Let’s take the example of ‘Viagra’ – whose current use was found as an adverse effect during its trials for pulmonary hypertension. I’d find a bunch of articles that would mention things like Viagra’s protein target, Phosphodiesterase 5A (PDE5A). 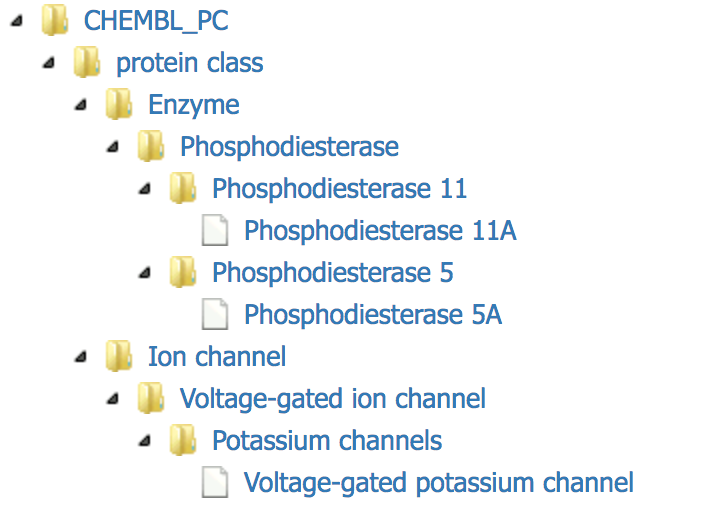 The image below shows how PDE5A and Phosphodiesterase 11A (PDE11A) were found in an article and where they sit in the taxonomy. You can see how PDE8B and PDE10A were identified in this way. This becomes incredibly useful, say if you’re interested in finding out which competitors have developed drugs for a target you’re working on. What you’re looking for is a rich set of taxonomies covering areas such as diseases, drugs, protein classes and so on. A good semantic search engine will actually embed the concepts (that’s to say, entities such as “PDE5A”, entity classes, e.g. “gene”, or higher level abstractions like “protein class”) within the plain text. How is this useful? Well, query time is really quick and extremely accurate, all because you don’t have to do synonym expansion. That’s hard to do in a generic search engine that doesn’t leverage life science taxonomy data in one step. Here, we quickly see that Erectile Dysfunction and Pulmonary Hypotension are associated with PDE5A – and also how much time this can save when working in drug repurposing. You could also look at co-occurrences on a sentence level. Sentence level co-occurrences are stronger indicators of a real association between entities than document level. Why? Because at a document level you might find entities in keywords section that hold spurious and unrelated terms. A comprehensive autocomplete index helps guide your searches. A little bit more in depth than GSK the company or GSK the protein! Note how Gilenya is searched for, but FTY720 (a synonym of the drug) is correctly identified. See also how ‘Indication’ is an entity type and how ‘worldwide or global’ is a plain text query to identify documents that mention either word. Remember that semantically enabled search is as good as the vocabularies it’s built on. An excellent vocabulary with a huge number of synonyms means that typing in the brand name of a drug also brings up papers associated with its clinical name. And there you have it – pitted against the depth and breadth that semantic search offers, keyword search simply cannot compete in terms of accuracy, full awareness, or efficiency. Semantic search allows you to buy back valuable time that would otherwise be spent sifting through huge amounts of documents, and even convert textual data into something you can integrate across your systems, thanks to entity recognition. Head of Software Engineering, SciBite. A geek at heart, Phil has spent the majority of his career writing code to solve life science problems. At SciBite since 2015, he’s now part of a global movement to transform data and how we interact with it. In his spare time, he enjoys building go karts and tinkering with his Raspberry Pi.